New York, New York (PRWEB) December 13, 2007 — John Fields, a current Air Force Senior Master Sergeant in the US Military, launched a new gift basket site that will support military communities and veterans. Fully launched in November 2007, Gift Favor Baskets (www.giftfavorbaskets.com) plans to concentrate on servicing the military and their families, in addition to providing gift basket services to the general population.In an effort to support the military, in which Fields served for 28 years, Gift Favor Baskets will concentrate on providing business to members of the military, as well as their families. “We will focus on the Military and their families, as we have a proud tradition of supporting our fellow members in the Armed Services,” reported Fields. His first-hand experience with the military allows him to better understand the needs of the military community, an often overlooked consumer segment.Although the business currently delivers anywhere in the US, the site plans to increase the service area in the future. They will add APO’s and FPO’s to their service area in 2008, when Fields will retire from the military and support his new venture full-time. Servicing APO’s and FPO’s will allow for delivery to individuals with Overseas Military Mail addresses. In another effort to support the military, Gift Favor Baskets will hire disabled veterans as their business grows. Additional e-commerce sites will also be added, providing more employment opportunities.While gift baskets may seem an unlikely career move for a current Senior Master Sergeant, Fields and his wife were inspired to start the new business based on years of traveling and living abroad. Their international experience allowed them to get a feel for interesting international products and sources for their gift baskets. Their own frequent use of gift baskets also encouraged them to extend the gift basket business to the military community, in addition to providing service to the general public.About Gift Favor BasketsGift Favor Baskets is a full-service gift basket business offering a wide array of gifts and gift baskets. 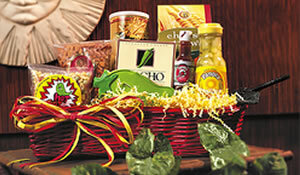 The gift baskets, many with an international flair, feature both locally crafted and international goods, such as coffee, chocolate, cookies and cakes.Contact:John Fields, PrincipalGift Favor Baskets800-704-4214http://www.giftfavorbaskets.comFor additional information on Gift Favor Baskets, please contact John Fields at 800-704-4214, email info(at)giftfavorbaskets.com or visit www.giftfavorbaskets.com.